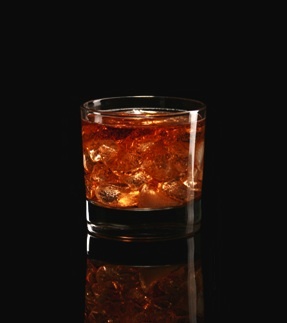 BourbonBlog.com mixologist Stephen Dennison gives the Old Fashioned cocktail some new flavor and depth with this new Chocolate Old Fashioned recipe. For a lighter chocolate flavor and a seasonal theme for warmer months, the recipe below can be substituted with White Crème de Cacao while substituting grapefruit in place of the orange. Remember to keep the fruit inside the shaker to extract the fruit pulp and juice out of it and to beat out some of the bitter elements that naturally occur in the pit of the fruit. The ice will pull out the bitter elements from the pith of the fruit when you shake it.